While retailers and payment networks work to cut down on data breaches in stores and online, it looks like fraudsters are relying more on stealing your card info at the ATM, as recent months have seen an unprecedented spike in the number of debit card data thefts from both non-bank and in-bank ATMs. The Wall Street Journal reports on data from FICO, which operates card-monitoring services covering about 2/3 of all debit cards in the U.S. 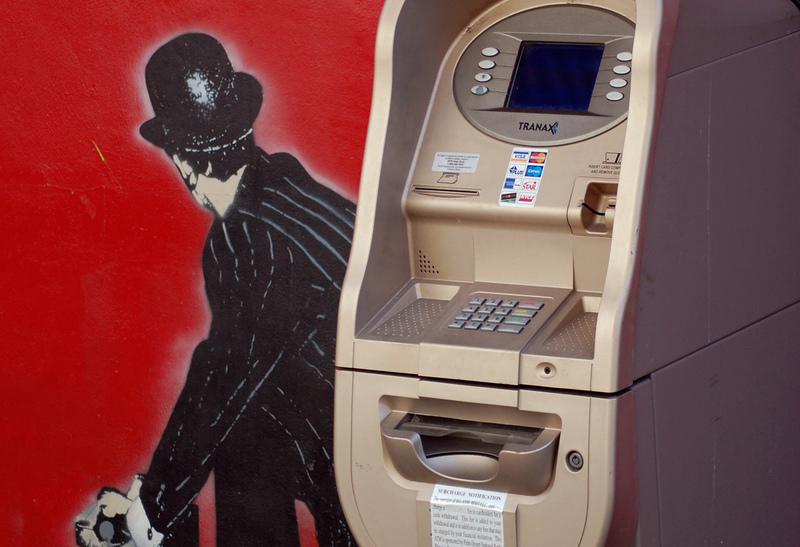 According to the company, the level of skimming attacks — where a criminal compromises an ATM machine to capture data from an ATM user’s card — on debit cards reached a 20-year peak in the first three months of 2015. ATMs not located at banks saw the highest increase, a jump of 317% over the same period a year earlier. But ATMs actually located on bank property didn’t do too well either, up 174%. FICO can’t give actual numbers of incidents because of its deals with the financial institutions it monitors. ATMs and other unattended places where you swipe your card — like gas pumps and even the card readers used to unlock bank vestibule doors after hours — have long been targets of scammers who install skimming devices that collect the information on a card as it’s inserted. More sophisticated skimmers also employ cameras and other technology to collect information that’s not stored on the card, like a user’s PIN. This information can be used to make online purchases, drain a user’s bank account, or make counterfeit cards with identical information. The banking industry is hoping that the introduction of chip-embedded cards in the coming months will reduce the level of fraud, as they are often the ones on the hook for fraudulent transactions. Many retailers have already began upgrading their payment equipment to work with the new cards, but the ATM rollout is just beginning.